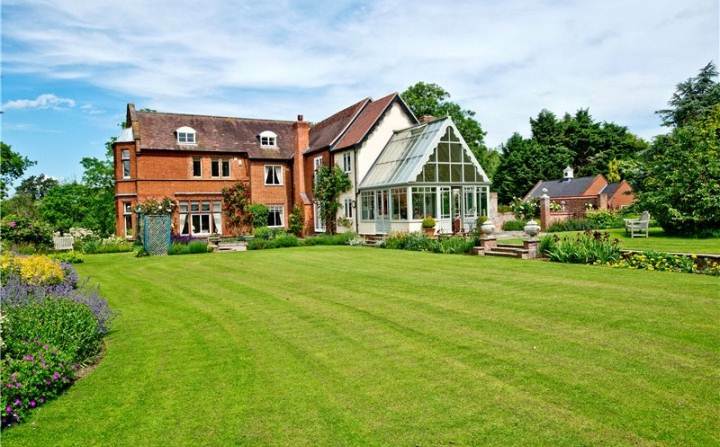 It’s true Muddy readers, this gorgeous, gargantuan property is, in fact, up for grabs as I type. And look how pretty… this 15th century delight sits in elevated parkland overlooking a lake in the sought after village of Topcroft near Bungay (a little piece of information you may not know: Bungay is the only town to straddle both Norfolk and Suffolk). 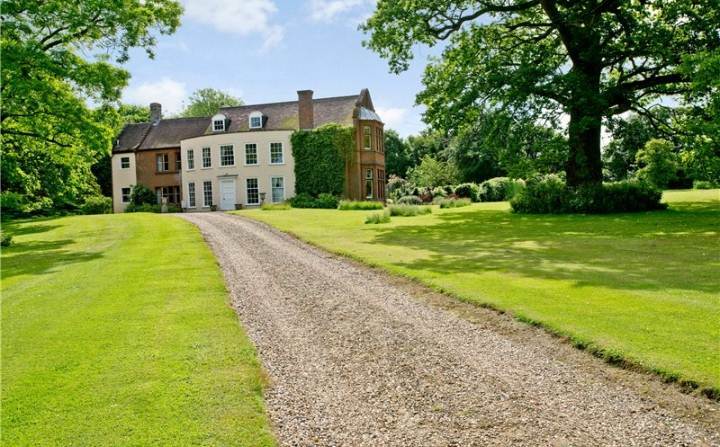 A country house of high grandeur, it boasts the ubiquitous electronically operated wrought iron gates and long gravel driveway synonymous with countryside living. 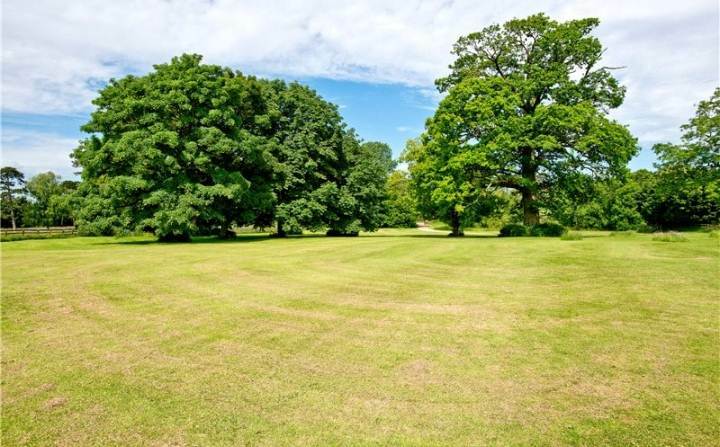 The grounds sprawl a vast 5.6 acres and contains magnificent mature trees, in particular Oak, Horse Chesnut and Acacia and an ancient Mulberry tree. 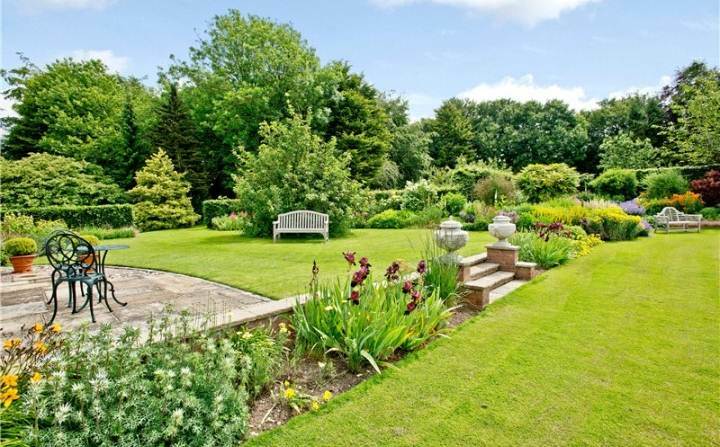 An attractive south facing garden is mainly laid to lawn (and so pristine you could play tennis on it) with mixed shrubs and a Beech hedge dividing the garden from the parkland. 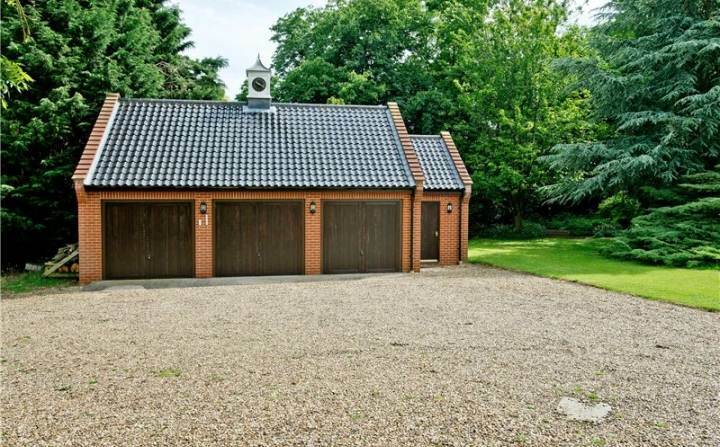 Also outside, there is a brick built garage block with a glazed pantile roof and clock tower housing for two cars and a workshop. There is also a barn suitable for the storage of garden machinery or wooden logs for the opening fire when the nights turn that little bit chilly. 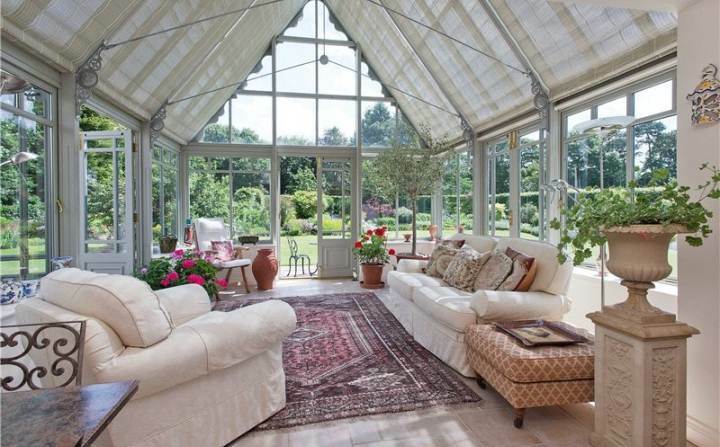 Inside the property has undergone extensive renovation, with a tasteful Amdega conservatory (imagine yourself there on a sunny evening, glass of wine and good book in hand, doors flung open to let in a gentle breeze). 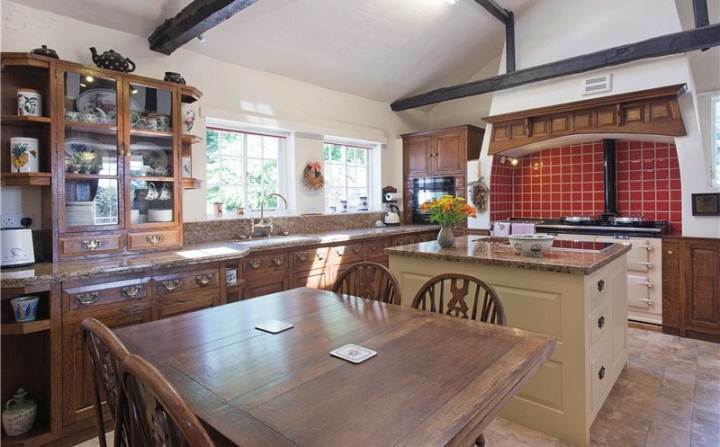 The country kitchen is designed for entertaining, with cream dual AGA cooker, Oak cupboards, bespoke granite worktops and a modern central island. The lounge, meanwhile, is both elegant and classic with large windows offering views of the gardens, an open fireplace and ornate ceiling chandelier. 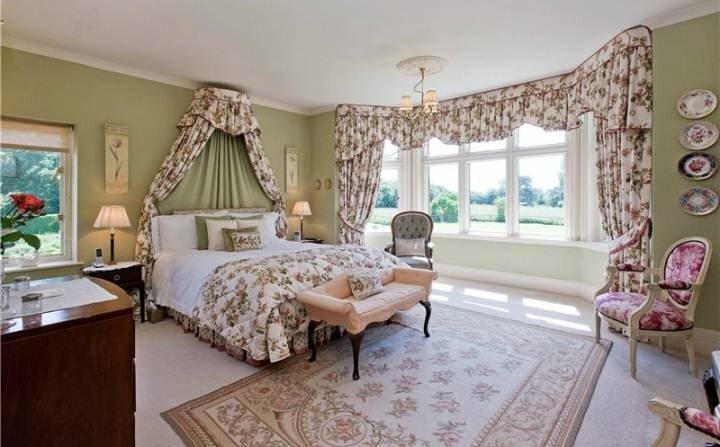 Upstairs, six light and airy bedrooms offer bay windows and modernised en suites, while bathrooms benefit from recent updates with walk in showers and large tubs. 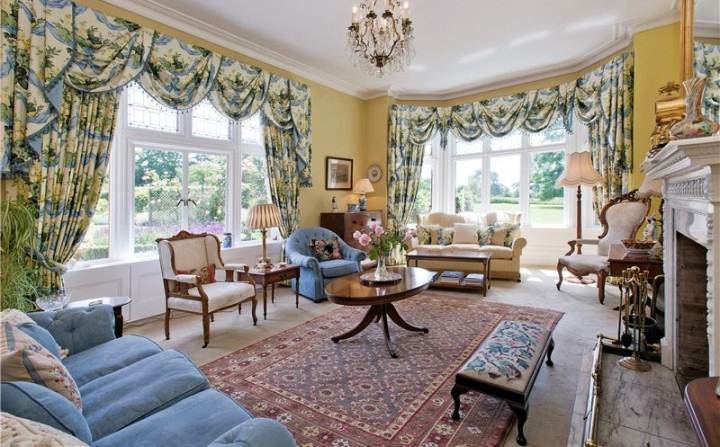 Fancy a look around but have no idea if you can afford it? Click here for the particulars.